Why Purchase International Health Insurance? What if….you are in a car accident while in a foreign country? What if…. someone in your group comes down with a stomach virus while traveling through South America? What if…. your child falls ill right before your dream vacation? American Insurance for Expats can handle the “What if’s…” while traveling or living abroad. International major medical insurance, medical travel insurance, emergency evacuation insurance and vacation cancellation insurance is our specialty. For ex-patriots living abroad, we offer International Major Medical Health Insurance. You can include or exclude domestic coverage but you are sure to be covered while outside your home country. There are many different, personalized health care plans to choose from so we prefer to discuss your unique situation with you in person to find the right policy for you. 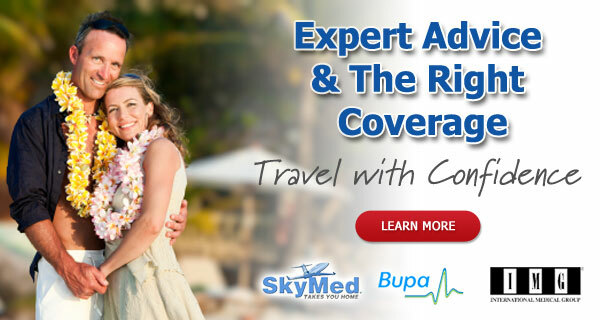 We also offer Medical Travel Insurance in case of a medical emergency while on vacation. There is no underwriting for this policy and the application only takes minutes to complete. Coverage can begin as soon as the next day. To help protect you from losing the money you have spent to travel, we offer Vacation Cancellation Insurance. With trip cancellation insurance, you may recover non-refundable, unused flight and hotel payments, travel delay expenses, baggage delays, and $10,000.00 of emergency medical treatment while you’re away from home. Let American Insurance for Expats Handle Your What If’s? Living abroad full time? We have Permanent Major Medical Policies for Expatriates living abroad. Click “Apply Now” to get started! American Insurance for Expats is proud to offer travel insurance plans through the most respected providers whom offer affordable plans! What if the trip you have planned gets cancelled last minute? 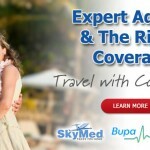 You will be fully covered and recover every dime of your vacation cost! 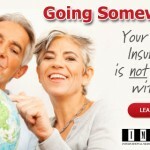 Find the answers to the most common questions people have about international insurance coverage.